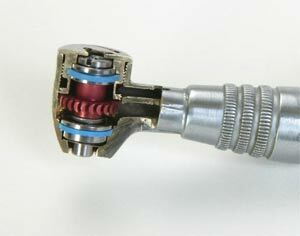 We repair almost any type of air-driven or electric handpiece. 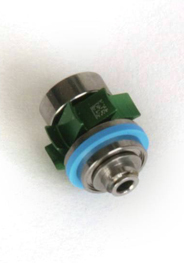 We save you money by rebuilding the handpiece turbine when the bearings go out, instead of you purchasing a new turbine every time. On high speeds we carefully remove the old bearings and replace them with brand new bearings that meet all manufacturer specifications. 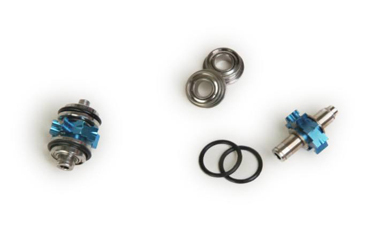 We replace all O rings and any other components too worn for proper performance. If it is not advisable or safe to repair your turbine, we may recommend replacing it. We have a complete stock of new Original Manufacturer turbines for all major brands. We provide full factory service for Star®; Midwest®; Kavo®; Lares®; Micro Motors®; NSK®; Champion; and MTI. Complete turbine assembly. Turbine spindle with bearings removed. We do not take out your expensive original turbine and replace it with a generic piece of junk! In my opinion, most generic aftermarket turbines are inferior to the manufacturer’s turbines and are virtually disposable. If you paid a lot for a high quality handpiece, why would you take the turbine out and throw it away just because it needs repaired? That is like putting a Yugo engine in your BMW! Yet this is just what many handpiece “repair” places do. They are untrained and unskilled, and are only able to replace your precision turbine with an inferior substitute. Make sure you know what you are paying for, and you are getting what you are paying for! Our Warranty-Your Satisfaction Is Guaranteed! 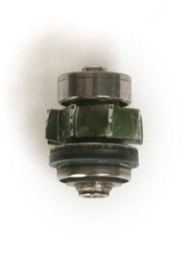 Each handpiece is inspected, repaired and tested in accordance with manufacturer's standards and specifications. We guarantee all materials and workmanship for the full warranty period. During the life of the warranty, we will repair or replace without charge, any defective parts we installed. If you are not completely thrilled with our service – we will cheerfully refund 100% of the repair cost to you after we re-evaluate the handpiece.